We have all had shakes, but you may have never tried a freeze. 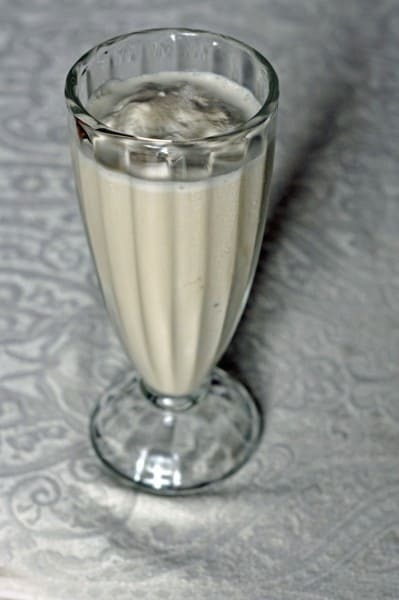 You might ask yourself what a freeze is, well a freeze is mixing up soda and ice cream, instead of ice cream and milk to make for a delightfully sweet treat. Sonic makes a host of delicious recipes, don’t miss out on other Sonic recipes. I can’t tell you how many of these I enjoyed when I was in high school. On a Friday night, it was important to hang out at the local Sonic Drive Inn and circle the drive in as many times as you possibly could. We would spend the evening, drinking these Freezes and enjoying many orders of Sonic Onion Rings. While I may not cruise Sonic anymore, I can definitely enjoy a root beer freeze. You can turn any soda into a Freeze. When I was in high school I worked at a Dairy Queen, and I can say that many people ordered freezes. Rootbeer Freezes were our most popular drink, quickly followed by a Coke freeze. I would like to give you a quick tip on mixing these up, go slow with your blender, the carbonation can make the blending of the ice cream and soda to slosh a little more than a shake would. If you love Sonic Drive Inn, and you are looking for more of my copycat recipes, be sure to check out my Sonic Drive Inn copycat recipes. Don’t miss out on the Sonic Onion Rings, as you really need to make that snack complete. Make your own Sonic Root Beer Freeze at home with this copycat recipe. Place both ingredients into a blender, and mix for about 30 seconds on puree. Now you don't have to stop at just root beer, you can make this with Coca Cola, Dr. Pepper, or any other soda that you may like. You can also add in flavorings if you desire, a cherry, Dr. Pepper Freeze has always had a special place in my heart. Green River and vanilla ice cream is really good too. You can also use fruit nectar juices like Libby. My Mom made shakes and freezes with Peach or Pear nectar. She’d sometimes use Pineapple juice too. So many options if one just uses their imagination. We use a good French Vanilla ice cream with A & W Cream Soda. You can use other cream sodas but we find A & W is best. We call A & W Cream Soda the ADULT Cream Soda. Packs a lot of flavor. Chocolate ice cream can also be used for some of the sodas. Wow! This tastes just like Sonic! Do you have their recipe for their onion rings? The most delicious freeze of them all? Dr. Pepper and Coffee Ice Cream. Bryers. Mmmm good! You have seriously inspired me to head tot he store. Grab some root beer and make some root beer freezes. Who am I kidding I might end up passing a Sonic and have to drop in for a minute. Thanks. LOVE these! This would be great to serve to out of town guests staying over Thanksgiving or Christmas… on a night when you want a quick/easy dessert or treat. Have a great day!! !